Head of Iran's Privatization Organization Gholam-Reza Heidari Kord-Zangeneh Iran is to launch three investment banks for the first time next month, aimed to bypass US restrictions on the nation's financial sector. 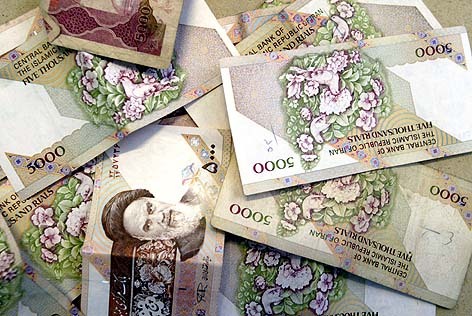 A consortium of private investment companies, some of which are affiliated to private institutions, will administer these banks, Head of the Iranian Privatization Organization Gholam-Reza Heidari Kord-Zangeneh told the Financial Times on Monday. "This is the first time we will have investment banks and they will perform in the same way other investment banks do all over the world," Heidari Kord-Zangeneh added. "They will take share subscriptions and act as an intermediary between the Privatization Organization and the stock exchange, helping us divest our state-owned enterprises." The establishment of the three banks Amin, Novin and Pasargad, is aimed to expedite the country's privatization drive in key economic sector including steel, banking, shipping, airlines and telecommunications, the official, who is also Iran's deputy Finance Minister, said. The latest reading of Article 44 of the Iran Constitution envisages large-scale privatization in key economic areas and downsizing the government. Some 80 percent of state-owned companies have to be transferred to private sectors under the privatization process. Heidari Kord-Zangeneh assured that if he maintains his post in the organization for another two years, he is certain that 'between 80 - 90 percent' of state companies will be privatized by the deadline.